A senior State Department official says Chinese President Xi Jinping will meet with President Donald Trump the first full week of April. 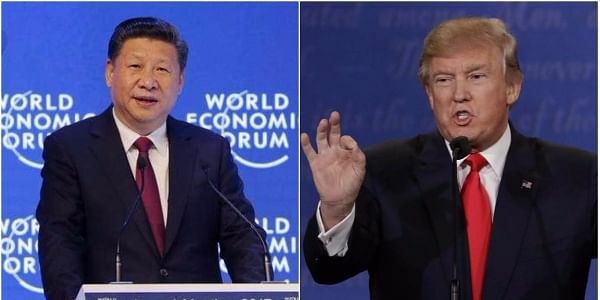 WASHINGTON: A senior State Department official says Chinese President Xi Jinping will meet with President Donald Trump the first full week of April. Secretary of State Rex Tillerson had originally planned to skip a meeting of NATO foreign ministers scheduled for April 5-6 in Brussels. The meeting was rescheduled for Friday after Tillerson told NATO he had a scheduling conflict. The official told reporters today the reason Tillerson couldn't make the original date is because Xi will be visiting the United States then. The official says Tillerson must be part of Xi's discussions with Trump. The visit will be Trump's first with Xi since taking office. The official briefed reporters on a conference call on condition of anonymity, even though Trump has criticized reporters for using anonymous sources.